Last week, I posted Part I of this article, noting how challenging hospital call centers can be for patients and how the entire patient experience can often be framed by his or her first contact with a hospital. In some cases, that experience is so frustrating that patients decide to go somewhere else for care. Step 2: Make Your Hospital Call Center More... Hospitable. To see last week's article, click here. Hospitals, Wake Up! You Are Pushing Paying Patients To Your Competitors. 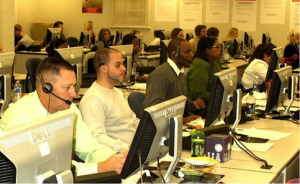 In the first posting, I focused the discussion around how to really look at your call center in this new era of consumer choice. From our own Simon Associates research conducted among hospitals across the country, we were appalled at how poorly hospital call centers could help us deal with a "friend" who had just been diagnosed with cancer. Yet, from our May SAMC webinar with Stericycle Communications Solutions (SCS) as well as from our research, we're starting to see that indeed, some institutions are beginning to realize that an incoming call is from a customer — a real, paying customer. Getting them off the line in 15 seconds, like some call centers are designed to do, is simply not in the best interest of either the hospital or the consumer. But why? As an answer, I offer the last three of my five steps to follow as you rethink the role of the call center in your organization. First, let's review the first three steps. I urged you to undergo a good diagnosis of what your call centers are doing today. Get the satisfaction numbers and try the experience yourself. Then think about your mission to care for those who are sick and injured. While hospitals are first and foremost dedicated to medicine and healing, it’s hard to achieve that when potential patients flee before even visiting. While the Cancer Treatment Centers of America’s customer service is the gold standard that many organizations should emulate, most call centers need to walk before they can run. One of the common issues that surfaces via Mystery Shopping (defined in my previous blog) is disorganization. Considering the many mergers and acquisitions in today’s healthcare space, some call centers are like puzzles with either duplicate or missing pieces. Physicians selling their practices to join a larger entity bring their own patient lists and software with them, adding even more layers of confusion on top of systems with faulty foundations. Matthew Henning, National Director of Health Systems for Stericycle Communications Solutions (SCS), knows this story all too well. He told us during our May webinar that he once worked with a healthcare organization that had just purchased several practices. Leaders of that group had no idea how many external companies ran the call center. Henning investigated and unearthed eight companies in total, all of which used incompatible software. The resulting chaos created countless problems, including significant loss of income to multiple vendors offering overlapping services. SCS consolidated everything under one system, immediately generating more revenue and significant savings for the hospital. As you streamline your call center process, you also should adopt a multi-channel strategy and the technology to support it. That said, it doesn’t mean you should ignore the power of the phone, as 68 percent of consumers still use the phone to contact call centers. However, bear in mind that emails, texts, live chats and messages from the website are becoming more prevalent ways to communicate, especially as consumers use smartphones and tablets for everything now. In fact, a recent Harris Poll noted that 64% of consumers would prefer to use texting over voice as a customer service channel. In this new world where views of any patient with a smartphone are instantaneously aired across the Internet, it’s absolutely crucial to differentiate your brand in a positive way and build business for your hospital. The sooner the heads of hospitals realize that the call center should be the epicenter of both branding and building the business, the sooner many call centers will improve. Furthermore, call center staffers need to know exactly what to say to reinforce the brand as it is presented in advertising, on the hospital website and in other public communications. Their tone must also convey the brand — and the caring and compassion behind it. Never forget: It’s ALWAYS bad for business to forget the “care” in healthcare.